While the fish are the stars of your aquarium, you can’t forget about the background. Some quality aquarium gravel from Fish Fans.com will dress up your tank, making it look show quality! 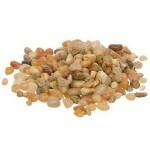 We offer all sizes, shapes, styles and color of aquarium gravel, in conveniently sized bags.